In 1996, the Verkhovna Rada of Ukraine, expressing the sovereign will of citizens of our state and relying on the centuries-old history of the Ukrainian state on world experience, adopted the Basic Law of Ukraine – the Constitution, which became a real and effective basis for building an independent democratic state as a full-fledged participant in the world community. 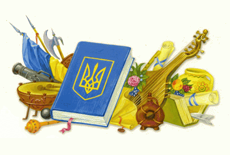 We congratulate you on the outstanding state holiday – the Day of the Constitution of Ukraine. The adoption of the Basic Law marked the fundamental consolidation of our independence, forever imprinted the will of the Ukrainian people to live in their own sovereign, conciliar state. The Constitution emphasizes the absolute value of man, his life and health, honor and dignity, integrity and security. The Basic Law is the determining factor of ensuring the state sovereignty of Ukraine, the consolidation of society, the creation of proper conditions for the self-realization of the individual. Happy holiday, dear compatriots! Happy Constitution Day of Ukraine!